Members of the Chatham-Kent Police Service are mourning the passing of former Chief John Kopinak who died earlier today after a courageous battle with cancer. Kopinak’s career began in 1968 with the Port Colborne Police and he later served in executive capacities with the Niagara Regional Police force, the Provincial Solicitor General’s office and the Canadian Police College. He was also a graduate of the FBI Academy in Quantico. 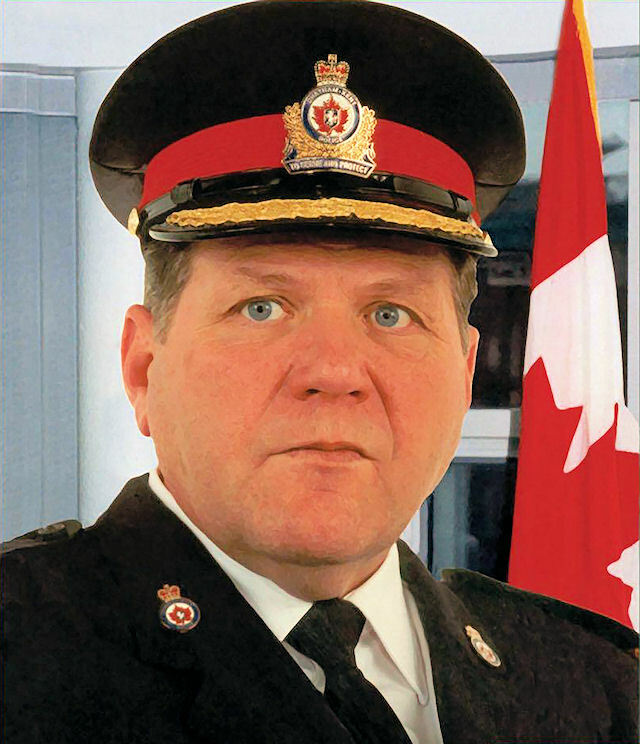 After retiring from the government sector, John became the Deputy Police Chief for CP Rail. In 1998, three months after retiring from that position he was recruited for the Chatham-Kent police chief position. “Chief Kopinak had the arduous task of amalgamating the Dresden, Chatham Wallaceburg and Tilbury services, while patrolling one of the largest geographical municipalities in the province and keeping costs below the provincial average.” Chief Conn noted that at the same time, the province was implementing adequacy standards and regulations for all police services in Ontario that required chiefs of police to ensure members in their services complete ministry-accredited training. “This was a monumental task in our profession,” he said. Conn said Chief Kopinak had a fundamental belief in community-based policing and continuous staff training. Conn was personally involved in what Chief Kopinak called “cross pollination” of policing when Kopinak approved a two-year secondment for Conn as an instructor at the Ontario Police College. “Having had the privilege of working with Chief Kopinak, I can speak on behalf of our entire service when I say he had the unique ability to command respect from everyone both in a personal and professional sense,” he said. He remained active in police matters attending the spring Zone 6 meeting of the Ontario association of Chiefs of Police (OACP). “We send his family our deepest condolences,” Chief Conn said. Chief Kopinak retired after serving as chief for five years, and accepted a position on the tri-board Hospital and Children’s services board. He taught at St. Clair College and was the head of corporate security for Union Gas in Chatham-Kent. John was a member of CACP and OACP alumni and FBI alumnus. He was chair of the Ontario Hockey Association board and was an avid fisherman and member of the Dover Rod and Gun Club. He was active in a number of volunteer efforts in the Mitchell’s Bay area. By: Greg Holden on August 28, 2018.